Quitting smoking is, for many people, one of the most difficult transitions a person can undergo. Smoking cessation aids like patches, gums, and e-cigarettes don’t work for everyone, but Quitbit might. Built by a team of engineers, designers, and hardware tinkerers, the Quitbit is quite possibly the world’s most advanced lighter. 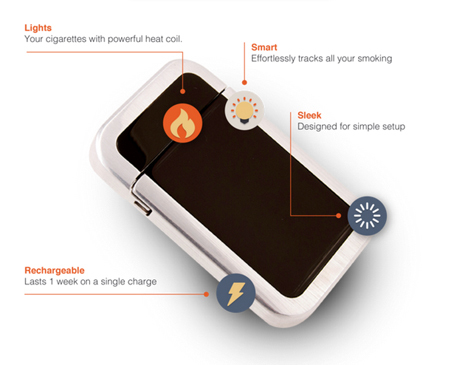 Quitbit helps you stop smoking by tracking your habit, letting you set custom goals, and keeping track of your progress. 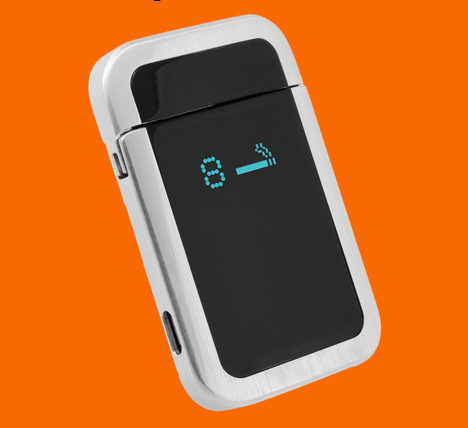 The flameless lighter uses a heating coil (like in a car lighter) to light cigarettes. The built-in screen displays your stats such as how long it’s been since your last smoke and how many cigarettes you’ve smoked that day. 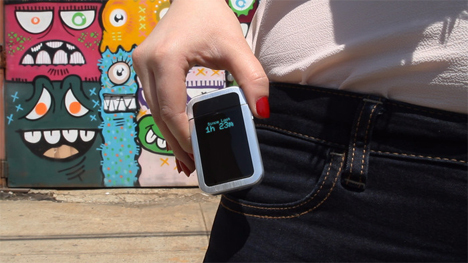 The Quitbit also pairs with your smartphone via Bluetooth LE to give an even broader range of functions. In the app, you can set how many cigarettes you want to limit yourself to each day and see on a simple graph whether you are meeting that goal. If you really want to go hard-core with your goals, you can even limit when the lighter works. 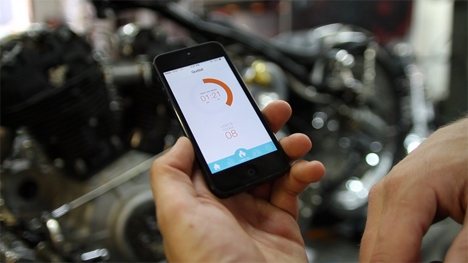 The app will also help you see what times of the day you tend to smoke the most. As you cut down, the app will tell you how much money you save day by day, week by week, and month by month. The project is raising money on Kickstarter and, as of the date of publication, looks to be right on track to meet its goal. See more in Industrial Design or under Technology. May, 2014.